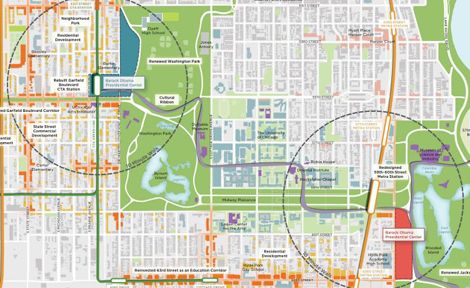 Ahead of public hearings, the University details potential sites and economic gains from an Obama Presidential Library on Chicago's South Side. The Committee on Free Expression at the University of Chicago issues a statement on "free, robust, and uninhibited debate and deliberation" on campus. Read the full report (pdf). Retiring professor Michael LaBarbera's Invertebrate Biology class concludes with a view of an "alien landscape." The latest book by psychologist Sian Beilock explores the body's influence on the psyche. Four new start-ups fill the Chicago Innovation Exchange's business incubator to capacity. How sociologist Howard S. Becker, PhB'46, AM'49, PhD'51, studies the conventions of the unconventional. Collaborating with Ben-Gurion University of the Negev, the Institute for Molecular Engineering pursues solutions to global water scarcity that could affect hundreds of millions. Are low oil prices an opening for a carbon tax? UChicago economist Michael Greenstone and former Institute of Politics fellow Bob Inglis advocate a levy to reflect the cost of carbon-dioxide pollution. Art conservator Barry Bauman, AM'71, has saved the state of Wisconsin about $250,000 by restoring historic paintings pro bono. Chicago Booth PhD candidate Yanping Tu's study identifies techniques that help change our perception of time and prompt action toward goals. Urban Grape Wine Tasting: French Flavors! Watch live at 6 p.m. CST on January 15 as Rev. 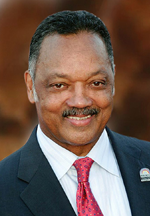 Jesse Jackson delivers the keynote address at the University's 25th annual Martin Luther King Jr. celebration. 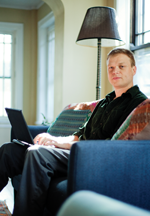 Grad student Forest Gregg, AB'04, AM'12, puts the Chicago school of sociology on data overdrive.